eScienceCommons: What makes yawns contagious? Bored with your friends? Perhaps it's evolutionary. New research shows that chimpanzees are more likely to "catch" yawns from familiar chimpanzees than strangers. Photo: iStockPhoto.com. Contagious yawning is not just a marker of sleepiness or boredom. For chimpanzees, it may actually be a sign of a social connection between individuals. Scientists at Emory’s Yerkes National Primate Research Center discovered that chimpanzees yawn more after watching familiar chimpanzees yawn than after watching strangers yawn. 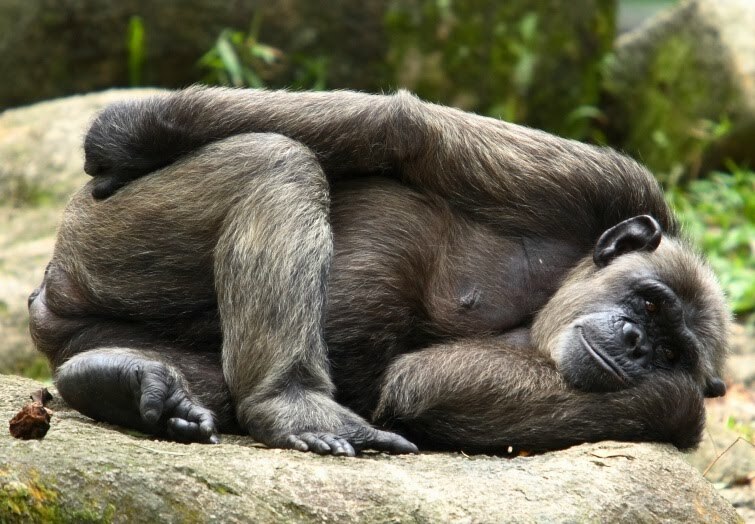 Their findings, published today in the Public Library of Science One (PLoS ONE), may help scientists understand empathy, the mechanism thought to underlie contagious yawning, in both chimpanzees and humans. The research also may help show how social biases strengthen or weaken empathy. Yerkes researchers Matthew Campbell and Frans de Waal propose that when yawning spreads between chimpanzees, it reflects an underlying empathy between them. They studied 23 adult chimpanzees that were housed in two separate groups. The chimpanzees viewed several nine-second video clips of other chimpanzees, in both groups, either yawning or doing something else. They yawned 50 percent more frequently in response to seeing members of their group yawn compared to seeing others yawn. In humans, scientists have identified certain parts of the brain that are activated both when someone experiences pain and when they see someone else experiencing pain. In these experiments, people tend to show more sensitivity for members of the same social group. The results raise the question of whether contagious yawning among humans shows the same biases: favoring members of the same social group over different social groups. Is it ethical to study dolphins in captivity?